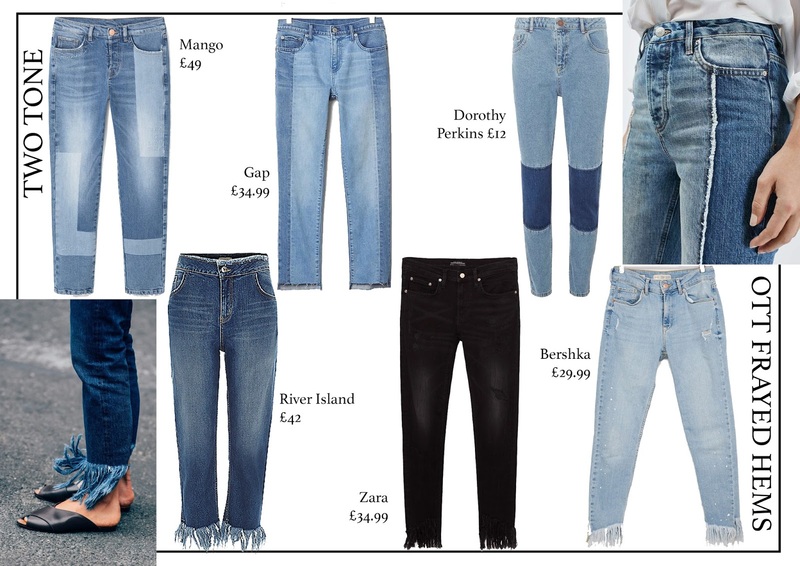 Denim is the backbone of any wardrobe so updating it every season is essential. Both designers and street style have influenced this seasons must-have, making it an exciting time to purchase some new pairs. AW16 is about deconstructing and customising denim in the form of frayed hems and embroidery. Stemming from the trend-setting Scandinavian bloggers and fashion labels, two-tone jeans have emerged as the 'cool girl' denim for aw16. Chose between a simple clash or a puzzle pattern and feel free to break the rules by wearing for three or four tones. Frayed hems hit our shops in ss16 and still remain just as loved today. However, aw16 is all about an extreme hem - there's no time for a half-hearted attempt, you have to commit and go big! A rework on the classic, the stepped hem emerged during the ss17 fashion month. The most photographed style is a 'step' at the front but a side 'step' is gaining popularity as well like H&M's pair. Use this design to really show off a fabulous pair of shoes. Thanks to Gucci, we're now obsessed with embroidered denim. 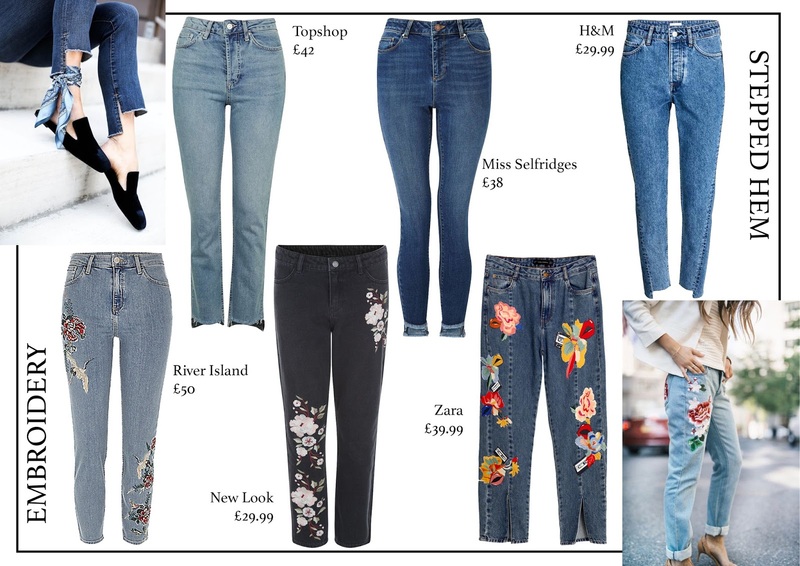 Floral imagery seems to be the most popular option but you can also get slogan and graphic stitching on your jeans. Another option is to get creative yourself by sewing on your own patches at home.